Hydraulic fracturing is a very common technique in wells for shale gas, tight gas, tight oil, coal seam gas and hard rock wells. There has been an increasing trend towards multiple hydraulic fracturing as production declines. This well stimulation is usually conducted once in the life of the well and greatly enhances fluid removal and well productivity. To aid in the design of an optimum pumping schedule for multistage well fracturing, Pegasus Vertex, Inc. has developed MSCluster. This well fracturing job simulator models the effects of various parameters in a fracturing job during its design stage. It calculates the pressure inside the pipe and calculates the volume split sideways during the multistage fracturing process. 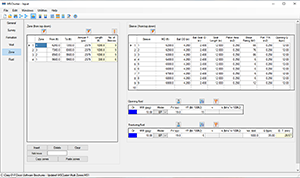 The well fracturing simulator can be used to optimize pump rates for maximum mud displacement efficiency by designing the highest allowable pump rates with exceeding formation pressures. 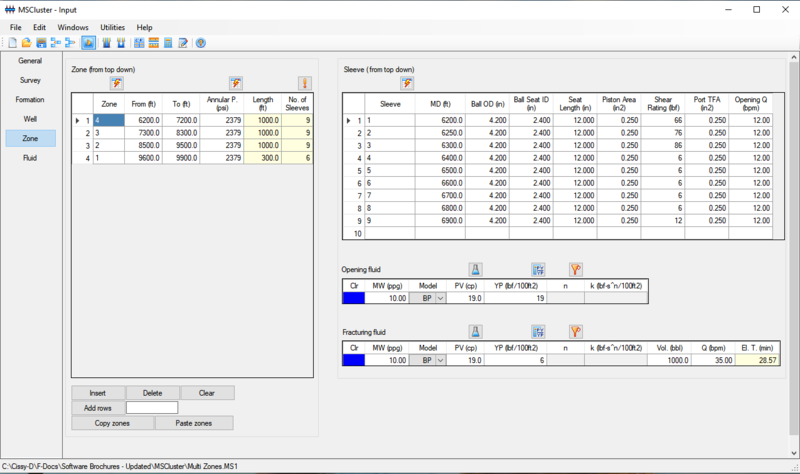 MSCluster can also evaluate job results by comparing the pre-job simulation to on-site recorded job data, allowing for the optimization of future designs or pinpointing the probable cause of a “problem” job.